One of my favorite things about the San Diego Comic Con is getting to see the small, unique, independent companies out there doing cool new things. Tonight's review is a perfect example. The company is called BoneLab, and it's a one man operation ran out of a guy's apartment in San Francisco. 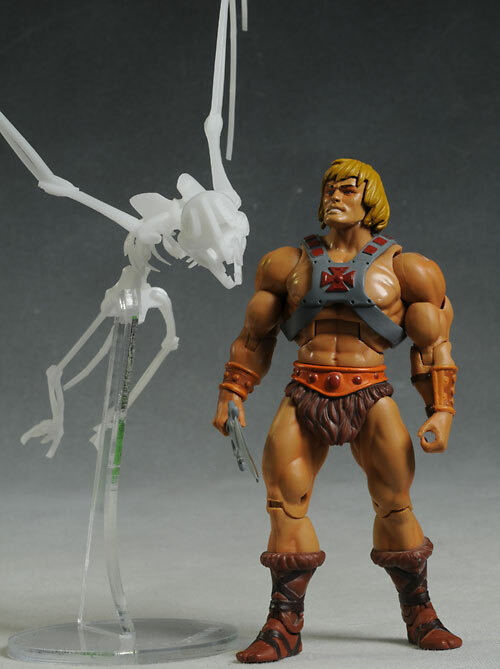 He designs skeletal models, each one made up of multiple pieces of flexible white plastic. 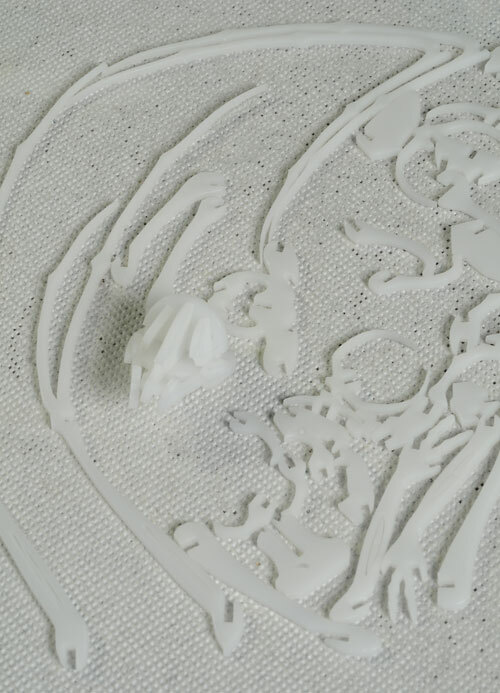 These pieces are laser cut in a flat sheet of plastic, which you pop apart and assemble. There are several different skeletons currently available, including a frog, a seahorse, a couple cool zombies rising from the ground, and the subject of tonight's review...a vampire bat! The bat is one of the larger sets, and costs $30. Other sets run $15 to $25, depending on the size and number of pieces. The packaging isn't special, but that's to be expected with a small company like this. The strong plastic bag works great though, and the header card is attractive in its simple design. Okay, this isn't really 'sculpting', but the design is terrific. The plastic is very sturdy, but very flexible, almost impossible to break. 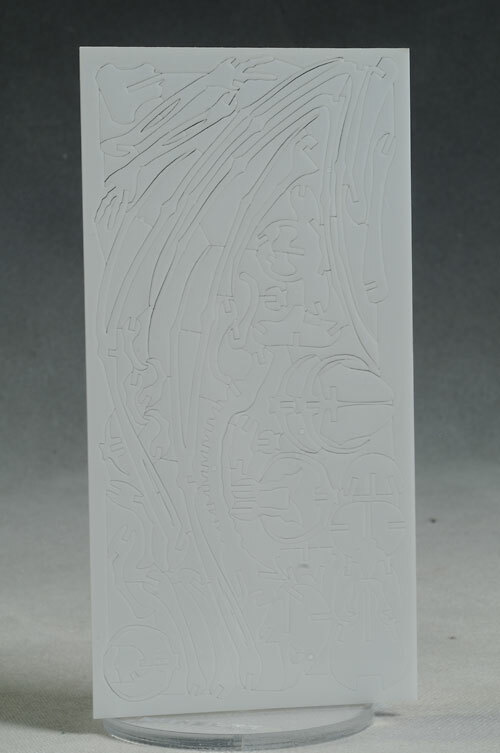 The pieces fit together tightly but cleanly, so you should have no trouble putting the model together without any glue, and it will stay together with normal handling. 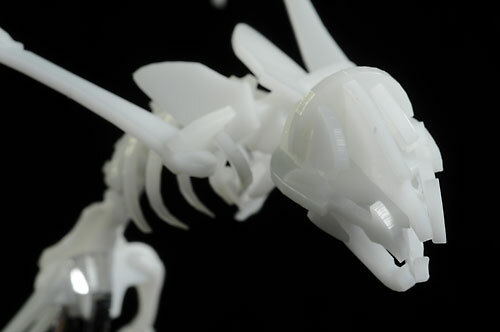 The creativity of the design is really quite impressive, and they make the most out of a very small piece of plastic. The edges of laser cut pieces are very clean and sharp, and it all pops apart with very little trouble. 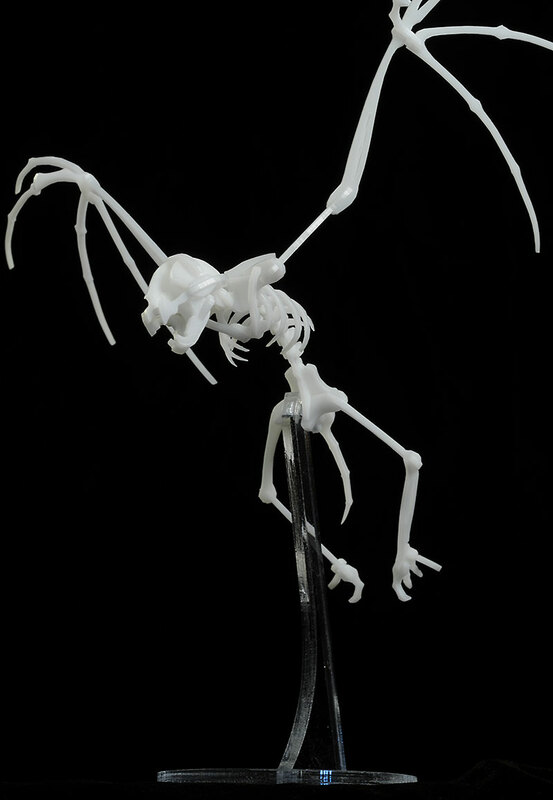 The model stands about 11" tall when it's fully assembled, although that's with the large wing bones spread out behind. 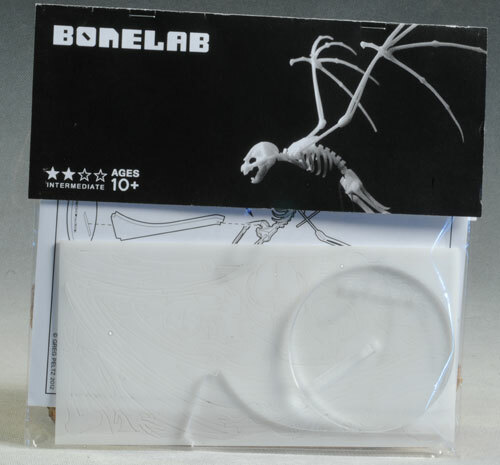 The height to the head is about 6", and Bonelab advertises this as 1:1 scale. There is no paint - these sheets of plastic are white, and that's the only color you have. Since these are supposed to be bone sculptures, the white color works just fine for me. This is an informational only category this time - this is a model you construct, and doesn't have any true articulation. While there isn't any traditional accessories, the bat (and other creatures that require it) comes with a clear acrylic stand that holds him in a flying position. It's very high quality, and works great. 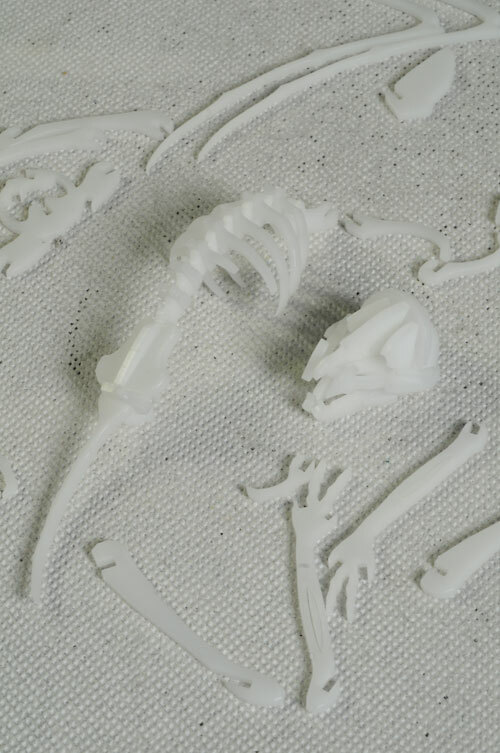 For kids fascinated by biology, models, and bones, these things will be a ton of fun. This set is categorized as an intermediate set, for age 10 and up. I'd say that's about right, although you might want to help them snap all the pieces out first to ensure nothing critical ends up in the garbage. It's a bit tough to make a call here, since this set cost just under $30, and there really isn't much to compare it to. It seems about right to me, especially considering the size of the company and the costs involved. The instructions show which pieces of plastic are parts, and which are just excess. Pay particular attention because some of the garbage looks like a useful piece, and some of the pieces could be mistaken for garbage. I love creative and unique toys like this, and I appreciate the sort of thinking that goes into the design of each creature. If you have a kid that loves biology and anatomy, or just funky cool models, then it's likely that there is one that will appeal to them. While the animals are all cool - and they had an amazing snake on display at SDCC that's coming soon - I think it was the skeletons rising out of the ground that I liked the most. I picked up the bat because I thought it made for the best review material, but the zombies are going to be on my list to pick up next. BoneLab has an Etsy store where you can pick these up. You should check out their website for more information.